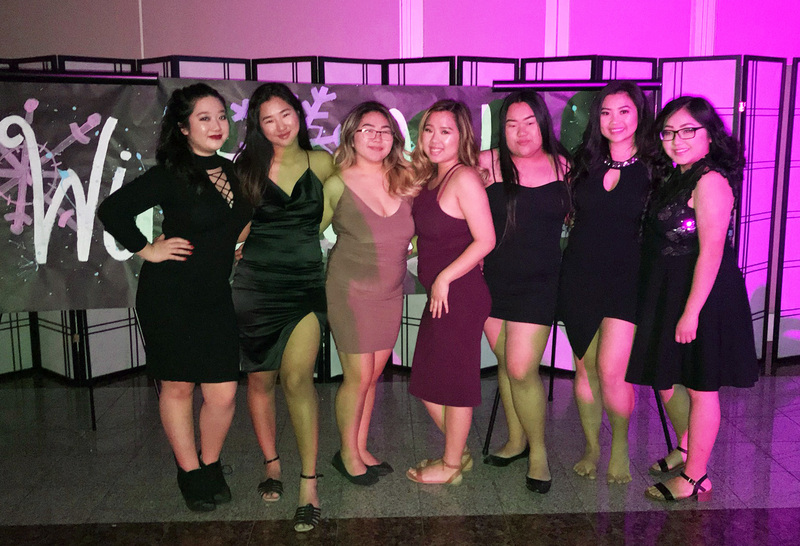 Dresses, shoes, button up shirts, and music ¾ the John F. Kennedy Winter Vibes dance was an absolute hit for Kennedy attendees. Held in the Library Galleria in downtown Sacramento, as many as 380 students attended, making it the biggest Kennedy winter dance since 2011. The dance was semi-formal, where one can wear button up shirts, dress pants, dresses or skirts. That evening was quite chilly outside which may have resulted in a number of girls wearing long rompers or a nice shirt with jeans, but that didn’t stop them from having a great time of their lives. The dance featured a standard photo booth, where students were able to take photos for free. DJ Mickey D, who performed at the dance, played his music where everyone danced to the beat, covering various musical genres including hip-hop, rap, and Latin American pop. Artists featured throughout the evening included Cardi B, Travis Scott, Drake, Shek Wes, Bad Bunny, DJ Snake, and many more. Near the end of the dance, the DJ played “Wobble” by V.I.C CEO, “Cupid Shuffle” by Cupid, and “Party in the USA” by Miley Cyrus, during which nearly every student ran to the dance floor to have a great time. The Winter Dance proved to be a marvelous night to go out and dance with amazing friends and truly live the high school experience. After the great selection of music and dancing, the Kennedy Winter Royal Nominee Winners were presented by Mr. Kenneth O’Flaherty. Emily Rios (c/o 2019) was crowned the Winter King while Angelie Vang(c/o 2019) was granted the title of Winter Queen.